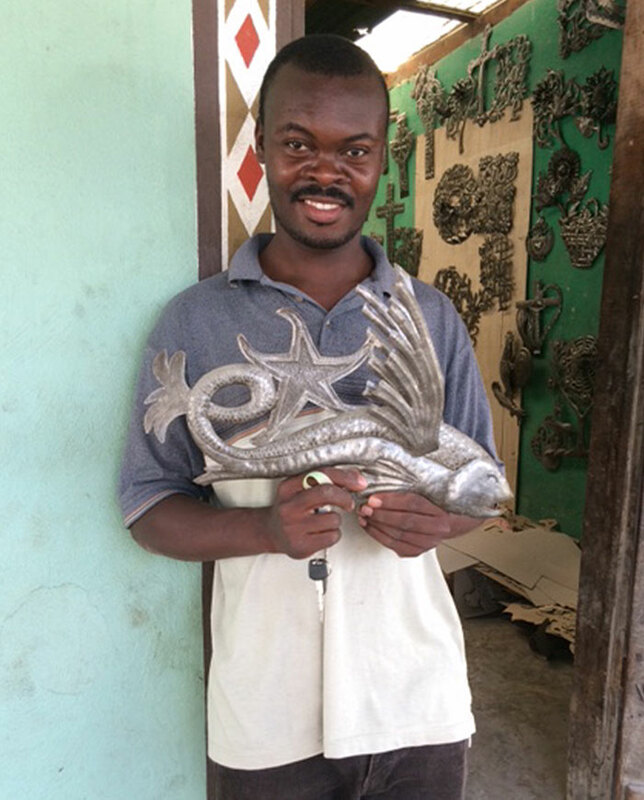 Beyond Borders has been working with and nurturing Haitian metal artists in Croix-des-Bouquets for fifteen years. We meet directly with them to ensure that quality and craftsmanship standards remain high. We love the constant exchange and blossoming of new product and design ideas. Most importantly, we see real economic improvement and lives bettered through the creation and sharing of their beautiful art. 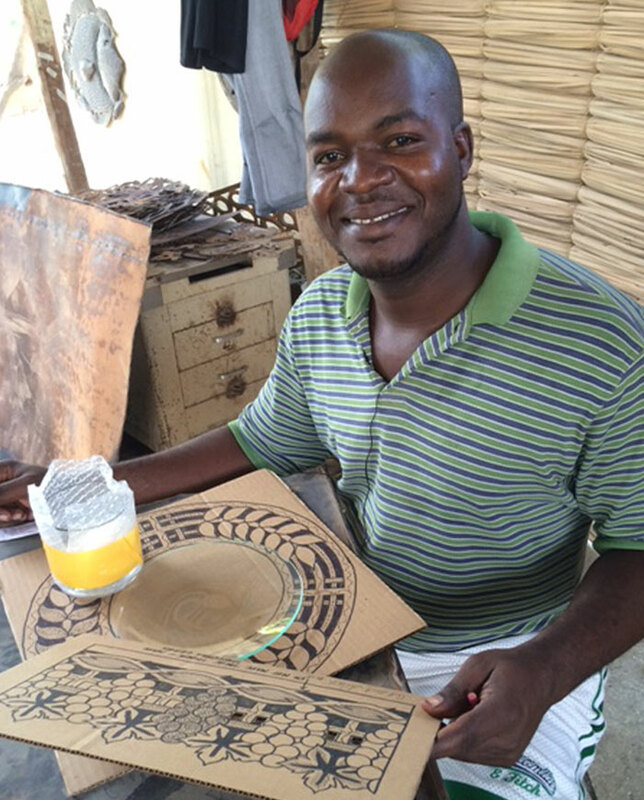 This success is about a true partnership between the Haitian artists, Beyond Borders, you as our retail customers, and your customers… all who get to love this art and share in the story. In the 1950s, DeWitt Peters, a patron of Haitian arts, was intrigued by the iron crosses marking many of the above-ground tombs. 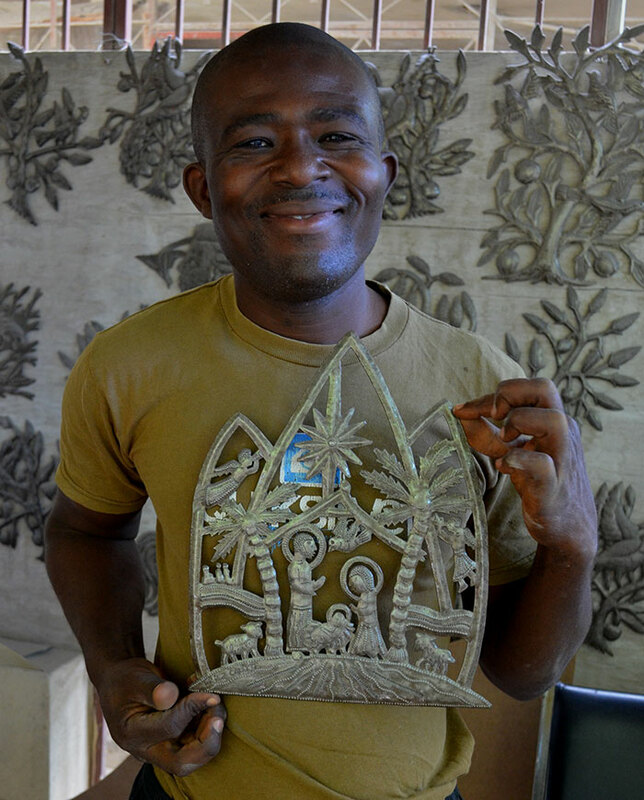 Peters discovered the blacksmith who had fashioned the crosses, soon to be renowned Haitian artist Georges Liautaud…and so began Haitian metal art. The original raw material was iron, but with many goods shipped to Haiti in 55-gallon steel oil drums, there was a ready supply of discarded drums for the artisans. 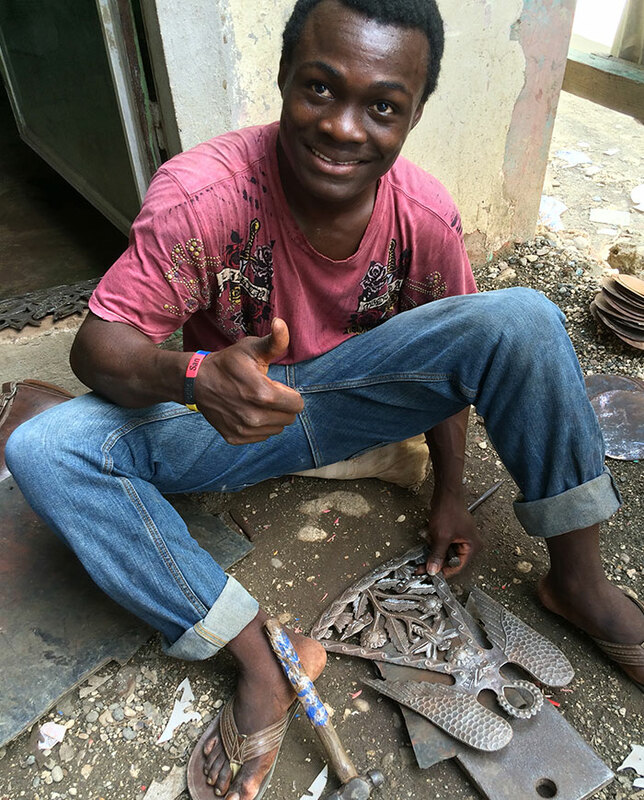 Over the years the number of Haitian metal artists has multiplied via families and mentor / students embracing the craft. The center of Haitian metal arts is the village of Croix-des-Bouquets, where the clang-clang of metal on metal, the hammers banging out the sculptures, provides constant music. The artisans start with designs inspired by nature and culture. From cardboard patterns, they trace their design with chalk on the flattened metal from torn-down oil drums. With chisels and hammers, they carefully cut and decorate the metal by hand. Each piece is shaped and smoothed, then the artists boldly and proudly chisel their name on to the metal sculpture.